Help students eliminate careless mistakes from their math papers with a simple method of checking that works with addition, subtraction, multiplication and division. Most students view casting nines as a game or puzzle, and check their work more carefully than ever before. 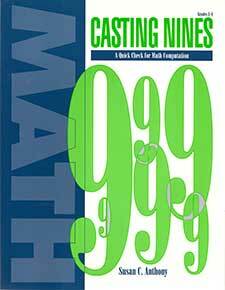 This reproducible book will enable you to learn to cast nines right along with your students!